Limit the amount of EMS a program can use under DesqView. expanded memory for its own purposes). amount. Framework II and SuperCalc 3 fall into this category. drops to zero, this program may be a candidate for LIMITEM. window will not close in the midst of running your batch file. the name of the batch file. exit the current version of COMMAND.COM and close the window. 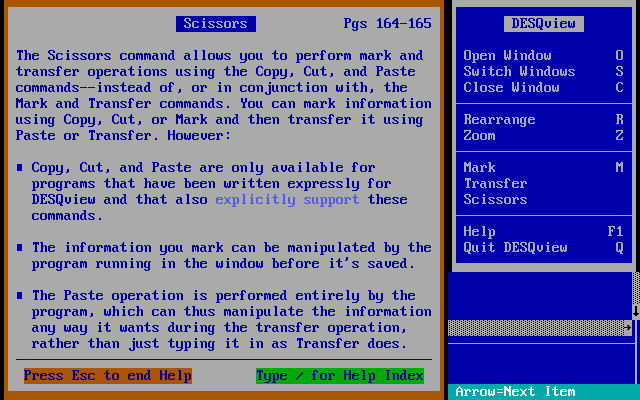 DOS window after you quit out of your program. should not be in the batch file. run. The LIMITEM.EXE file should be put in the DESQview directory.